Welcome to Applause of Bel Air! 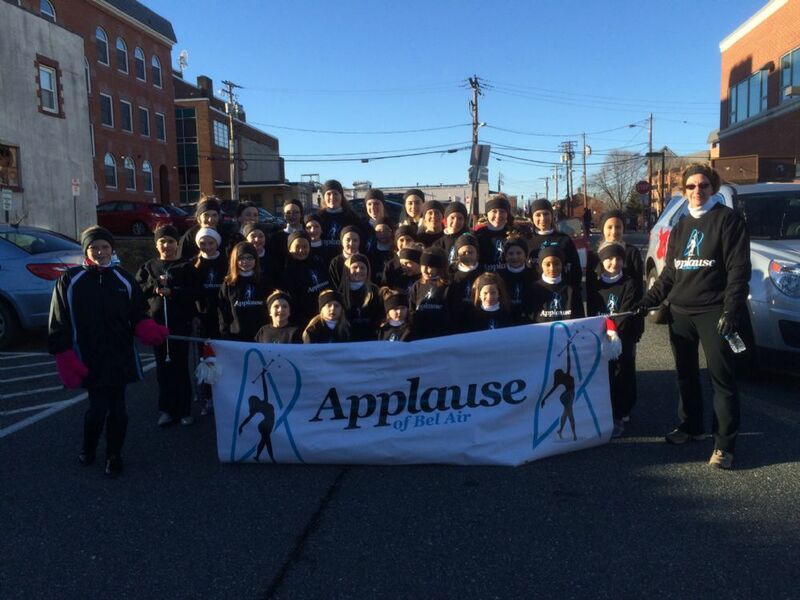 Applause is the premier baton twirling team in the Bel Air and Harford County area. We draw twirlers from all around the Baltimore, Maryland region, and from as far away as Pennsylvania and Delaware. Applause has produced more State, Regional, and National champions than any other area group. In addition to our competition program, we offer recreation classes for children who want to participate in a fun activity without the pressure to compete. Our affiliation with Bel Air Parks and Rec and the dedication of our volunteers allows us to offer the finest baton instruction at a fraction of the cost of other area groups. Compare our value to other area groups. Check us out and see what we have to offer! Our twirlers, teams, and coaches are some of the most accomplished in the area. New and experienced twirlers welcome! We have classes and teams for all levels and experience, beginner through advanced. Registration is open, must be registered to attend practice. Use the "Register Now" button to sign up, or come to the class of your choice and register in person. PRACTICE WEAR: T shirt (not baggy), shorts or leggings and flexible tennis shoes or jazz shoes. Hair in a ponytail, and bangs bobby pinned back out of face. The Beginner, Intermediate/In House Competition program begins the first Wednesday of October and runs through the end of May at Bel Air Middle School. Beginner program 6-7 pm, Intermediate/In House Competition program 6-7:30 pm. A costume will be required for end of year recital, we try to keep the cost as low as possible, further information will be handed out when costumes are chosen. The In House Competition participants must be at all practices, unless they are sick or excused by the coach. Competition dates will be given as soon as we receive them. A costume will be required, we try to keep the cost as low as possible, further information will be handed out when costumes are chosen. Travel Competition Team (attends local competitions and Nationals in July): Monday nights at Red Pump from 6-9 AND Wednesday nights at Bel Air Middle School from 6-9 beginning mid to late September. Travel team members must be at every practice and attend all team competitions. Competition dates will be given as soon as we receive them. Required equipment: Baton $20 purchased from Applause, competition teams will be required to purchase twirling shoes. They can be purchased from ABC Baton www.americanbaton.com Ask the coach what color to purchase. Travel and individual competition twirlers should have both instep and jazz shoes, tan in color, may also need a black pair of instep or jazz shoes. Online registration is now open, to all new and returning twirlers. Click on the "About Our Program" tab for more information about our classes and teams. Applause twirlers are available for performances. You may have seen us at the Bel Air Arts Festival. We have also performed at the Ripken Little League World Series, at Southampton Middle School's Hoops for Heart student/faculty basketball games, and at local parades. Members of our national champion travel team have also been featured entertainment during half time at Harford Community College home basketball games. Email applauseofbelair@yahoo.com if you would like to have them perform at your next event!